Gospel music has had its share of fathers and mothers, kings and queens, princes, crown princes, princesses, godfathers, thunderbolts, wonder boys, and boy wonders, but as far as I know, only one duchess: Lady LaVarnga Hubbard. When Hubbard opens her mouth to sing, she channels the best of gospel’s traditional church-raised no-nonsense female shouters. Born in Chicago, LaVarnga (pron. luh-VARN-juh) Hubbard was nine years old when she began singing for Christian Doctrine Baptist Church, under the pastorate of Rev. Herman Billingsley. 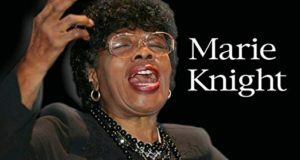 She joined Chicago Mass Choir when it was still called James C. Chambers and the Ecclesiastes Community Choir. Her lead vocal on “Call Him Up” helped make the song so popular, it remains in Chicago Mass’s repertory to this day. Working with Dillard provided Hubbard another aha moment. “I had sowed in all these ministries and it was time to do it myself.” She was ready to launch her solo gospel singing career. Hubbard self-released her first project, Nobody Else Compares to You, in 2006. 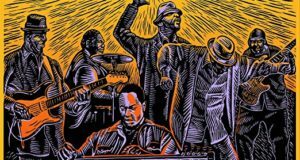 The album, produced by VaShawn Mitchell and recorded live at Sweet Holy Spirit Church on Chicago’s Southeast Side, earned praise from the Journal of Gospel Music (then The Black Gospel Blog) as one of the best gospel albums of that year. Her sophomore project, Royalty (2010), was produced by fellow Chicago Mass Choir alum Percy Gray. Also recorded live, Royalty demonstrated once again Hubbard’s capacity as a gospel squaller. 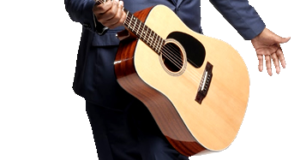 A church rousing single of hope and encouragement, “I Got Better Coming,” is Hubbard’s latest release. 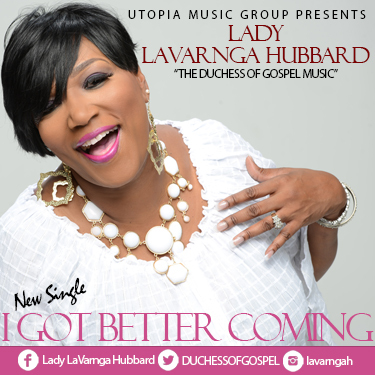 It is her first product for Bishop Larry Trotter‘s Utopia Music Group label. Utopia plans to release her third full-length project this summer. Meanwhile, on August 22, 2015, Hubbard will reprise her Daughters of Zion music showcase, where she gives new and emerging female gospel artists a public platform. Grammy Award nominee Anita Wilson was on her 2011 program, just before her career took off. “We’re supposed to pour into other ministries, encourage the new singers,” Hubbard explains. Her daughter, stepping into her mother’s footprints, plans to be part of the 2015 program.